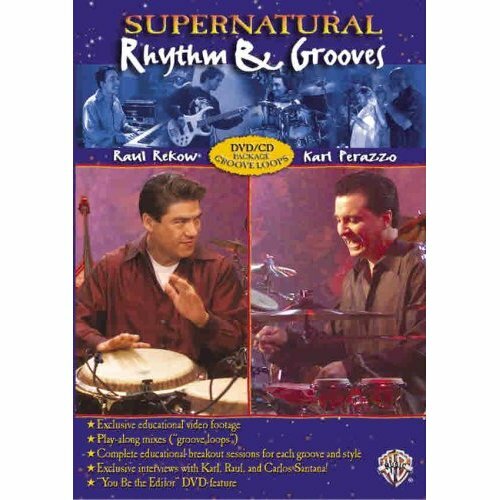 This DVD features five songs from Carlos Santana's Grammy Award-winning album Supernatural performed by an all-star band. Patterns and grooves from each of the songs are broken down into individual lessons, and all are taught and performed in their entirety. Specially recorded groove vamps are included on the exclusive, accompanying play-along CD. DVD special features include an exclusive interview with Carlos Santana, a Karl/Raul tour bus interview, "You Be the Editor," a behind-the-scenes photo gallery, and a performance only feature.